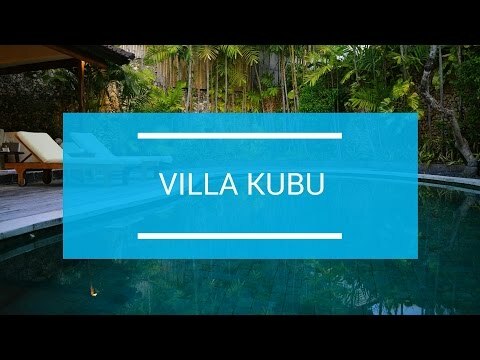 Kubu’s most modern-styled 2-bedroom luxury villa with private pool perfectly suits those wishing to enjoy the luxury fully air-conditioned indoor living and dining areas. 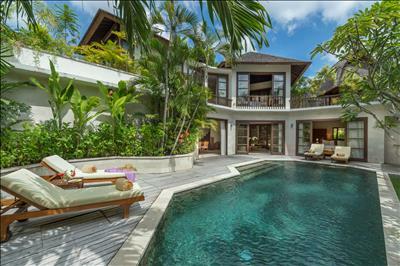 Featuring two grand suites over two levels; this villa provides an amazing upstairs apartment for parent or honeymooners, while the ground floor suite is pool-facing and leads out to a sun deck and lush sun beds, perfect for older children wanting to live by the water. The huge master suite on the first floor features a decadent outside terrazzo bathtub and a spectacular roof terrace featuring a thatched Lumbung (traditional rice barn) with day bed, all overlooking the private pool and gardens below. 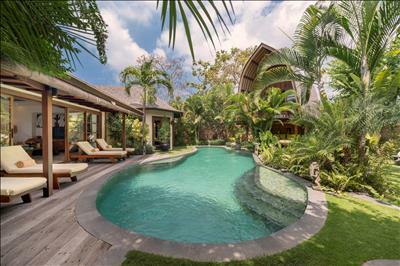 The bedroom showcases a freestanding king-size bed then leads to a decadent walk-in dressing room, and through to a grand marble bathroom, twin marble basins and both indoor and outdoor showers, the latter with tree top views over Seminyak. The downstairs living area features a dining table seating eight and a massive sofa and easy chairs, perfect for resting, reading, lounging or entertaining to the sounds to the Kubu iPods, always uploaded with a wide selection of tracks. 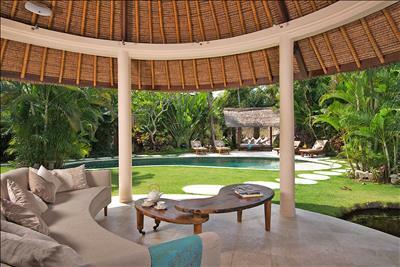 Or move to the intimate private outdoor cove with an upholstered sofa in a secret tropical garden nook. 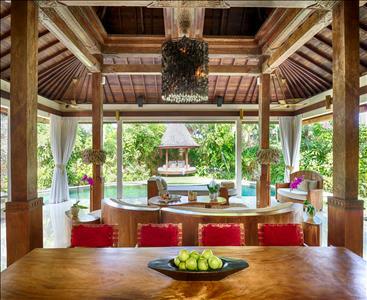 This luxury villa can also be booked as a one-bedroom to give the ultimate romantic retreat. Super service , especially the staff. wonderful. Staff were always friendly & helpful. The villas were clean, comfortable & also so relaxing - great staff, friendly service - a wonderful break. Thank you for an amazing time and hospitality at Villa Kubu! There is not much to be said here that hasn't already been said. 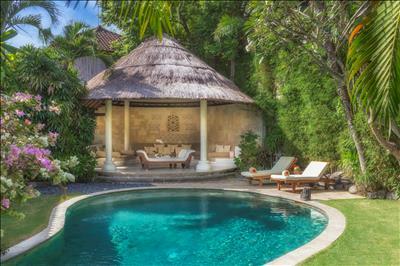 We stayed in Villa 8; a premium 2 bedroom villa with a private pool. The bathrooms are huge, the bedrooms comfy and tastefully decorated. We could walk into Seminyak easily although a little rabbit warreny but that was half the fun. Traffic in Bali is a nightmare but Villa Kubu staff assisted nicely with our day trip to Uluwatu and other excursions. It's so, so nice here, I didn't want to leave. We Enjoyed A Warm Relaxing Holiday!